Camp 2019 - Tuesday through Thursday, July 9-11. 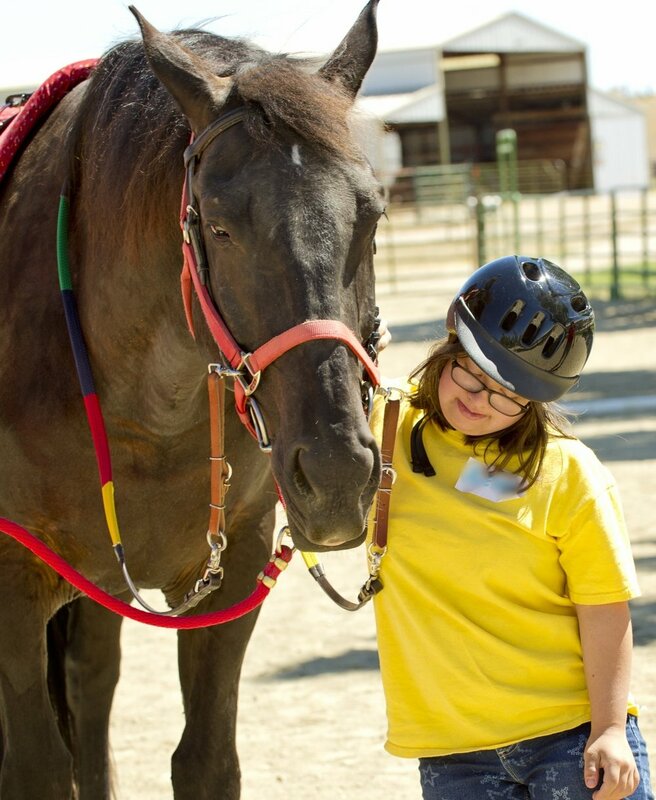 The annual All Abilities Camp at Ride for Joy (RFJ) offers youth of any ability the opportunity to spend time at the barn, learning horsemanship skills and connecting with others. All children between the ages of 4 and 17 are welcome. Daily activities include riding, arts and crafts, and stable management where participants may learn about horse care, different tack, or horse breeds and colors. Special activities may include a visit from Idaho Therapy Dogs and water games. Lunch provided by participants. If the child is new to RFJ, or if he or she has not ridden within the last calendar year, a New Student Application must be finished, including the Medical Information and Physician Statement form that must be completed by the child’s physician. Finalized applications are due two weeks prior to the event. Cost is $175 per student (subject to change). Half of the tuition is due with the application and the balance due two weeks prior to the event. Scholarships may be available after completion of the Scholarship Form. To sign up, please complete a Camp Application for each participant and email it to hminer@rideforjoy.org, fax it to 1 208 550-3208 or mail it to P.O. Box 140295 Boise, ID 83714. Spots are limited and assigned on a first come, first served basis. Please read the Student Application Information Packet prior to applying.